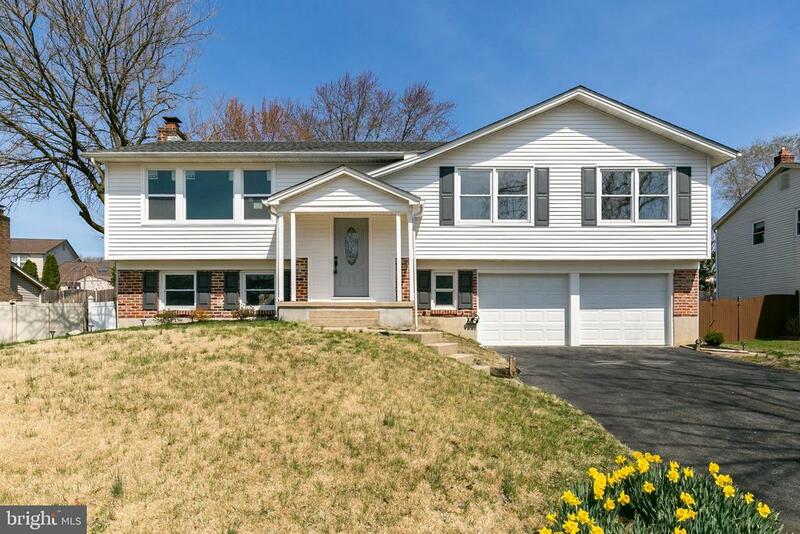 All Somerdale homes currently listed for sale in Somerdale as of 04/20/2019 are shown below. You can change the search criteria at any time by pressing the 'Change Search' button below. If you have any questions or you would like more information about any Somerdale homes for sale or other Somerdale real estate, please contact us and one of our knowledgeable Somerdale REALTORS® would be pleased to assist you. "Iconic 5 bedroom Raleigh model now being offered for sale. This very popular Broadmoor floor plan is checking off all the boxes! Welcome family and friends in the redesigned foyer! 5 Bedrooms (gorgeous addition), In Ground Pool, Sun Room, Partially Finished basement...and the list continues. 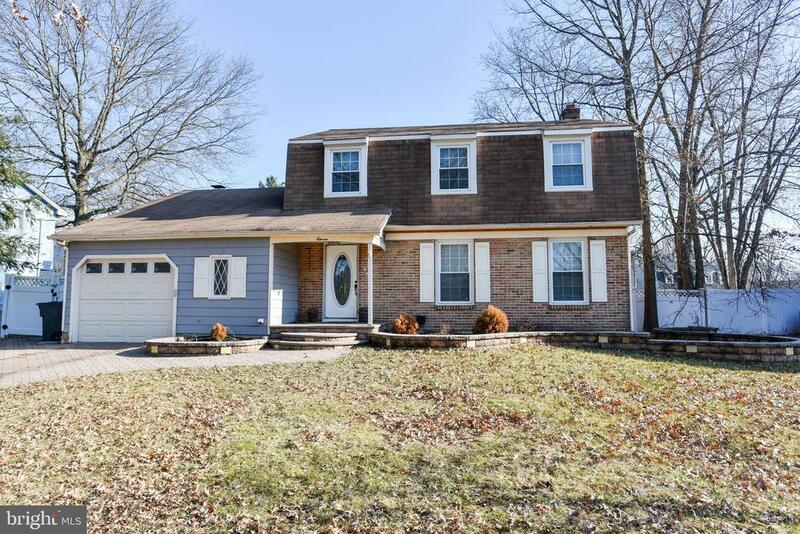 Enjoy the quiet location of Southwick Road along with many updates. This traditional Colonial Floor plan has certainly been enhanced. Formal living and dining rooms are the perfect settings for entertainment. 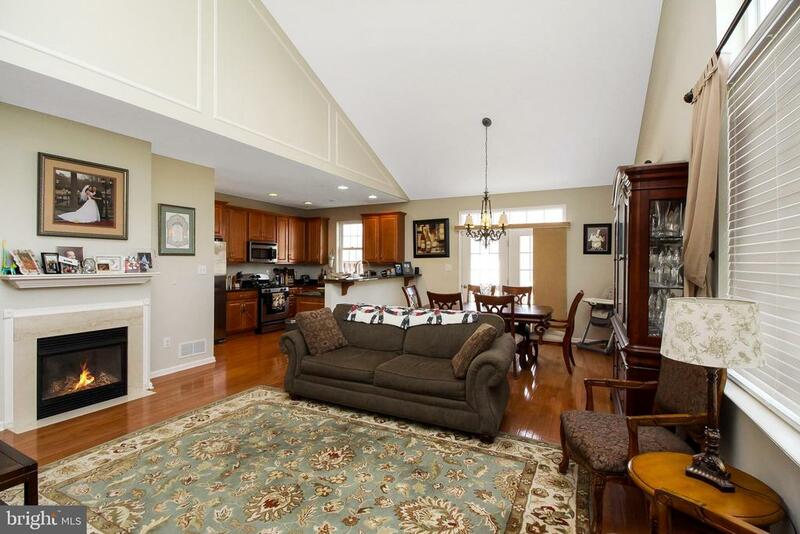 The upgraded and redesigned kitchen spills into both the family room as well as the sunroom. While in the sun room, you'll love to take in all the surroundings, as well as the fun family pool activities. There is a first floor utility room, an attached 2 car garage, and a full mostly finished basement. Upstairs you'll appreciate the large master suite boasting a very large master bedroom, with volume ceilings, a generously sized walk in closet, and a classic tiled master bath. There are four additional bedrooms; one with a private bath, and also a hall bath that has been so nicely updated with new fixtures, tile and vessel sinks. Outside you will thoroughly appreciate all the summer fun in this resort-style rear yard with a most refreshing in ground pool, conversation areas within the yard, patio areas to bring folks together to slow down the pace and enjoy catching up on life's stories and fun. Enjoy the Good Life in the wonderful community of Broadmoor... Take advantage of close proximity to parks, shopping, restaurants, and major highways. This one has it all!" 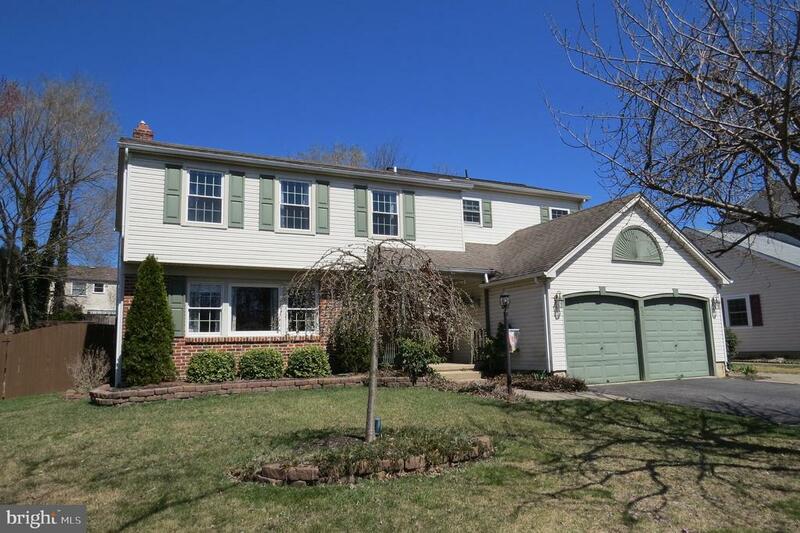 "Welcome to a beautiful; 4 bedroom, 2 1/2 bath family gem colonial in Gloucester Township. This gorgeous home is located on a quiet cul-de-sac boasting only 8 homes in walking distance of Chews Elementary School. House was professionally painted in September 2018 and premium neutral colored carpets (30 year warranty) were installed in September 2017. Lighting has been converted to LED with additional upgrades to electrical plugs/switches throughout main/upper floor for additional savings. The custom-designed Kitchen is presented with wrap around granite counter tops, counter-height breakfast bar and dining area, tile flooring, decorative back splash, 42 in. cabinets with two lighted displays, endless storage options, recessed lighting, 26 LED under counter/display lights (13w total) offers efficient year round ambiance. French door in kitchen offers additional light and access to the private back yard paradise. Don't forget the Premier Professional Series Stainless electrical appliances. Driveway supports up to 6 cars; including the two-car attached garage, with ample street parking for entertaining. Admire the landscaping and enter into the Foyer/Living Room or through the garage into the Family Room. The Family Room includes wall-to-wall mantle with gas fireplace, custom book cases and wall mount TV stand; recessed lighting, bay window and surround sound system (included). The Living Room welcomes an abundance of natural sunlight through multiple windows. The Dining Room features an additional display bay window, chandelier with dimmer, crown molding and chair rail. The Laundry Room comes complete with a quality large capacity washer/gas dryer/folding area/storage also offers convenience to the Powder Room and side entrance for easy Pool/Backyard access. The Powder Room and Laundry Room are both complete with Pergo flooring. Laundry Room also features pull down stairs for attic storage access. 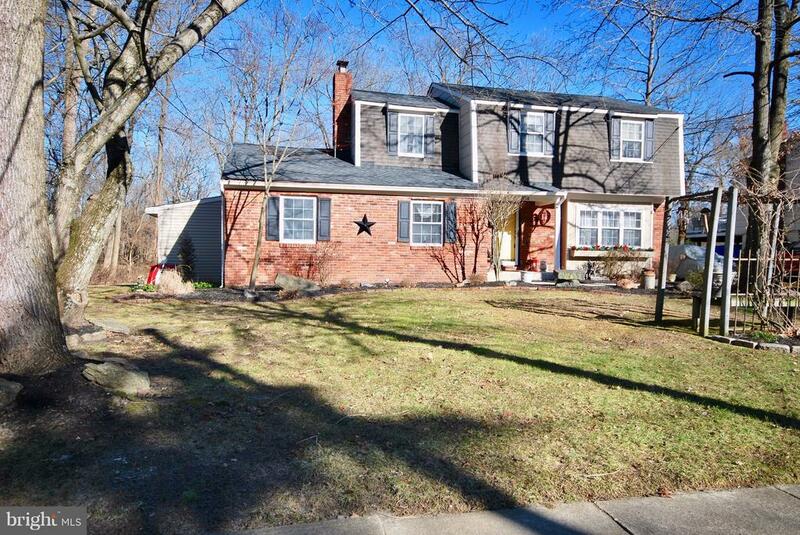 Upper Level includes four Bedrooms and two fully remodeled ful"
"Welcome to Roberts Dr. Situated in highly desirable Broadmoor. This four bedroom home with finished basement and in ground pool is looking for a new family to call it home. Out front your greeted with well-manicured landscaping. Let~s head inside and check out the living area. You will take notice of the gleaming hardwood floors as soon as you enter the home. There is a large formal living room and dining room as well. Perfect for those Sunday dinners. The rear of the home is the updated kitchen offering Granite counters, and new appliances. Over in the family room you will keep plenty cozy with the gas fireplace. Just off the family room is a large three season room with access to the pool. The pool will keep you and friends entertained all summer long. Plus the liner is only 2 years young. Back inside, let~s check out the basement. Down here there is a separate area for entertaining and another area for storage. Upstairs you will find four generous sized bedrooms including the master. The master bedroom offers private bath which has been updated as well. The three other rooms offer plenty of space too and the hall bath has also been remodeled. This home checks off all the lists. Kitchen has been updated, bedrooms with fresh paint, hall bath, HVAC and roof. Place this on top of your list and you will be glad you did!!" 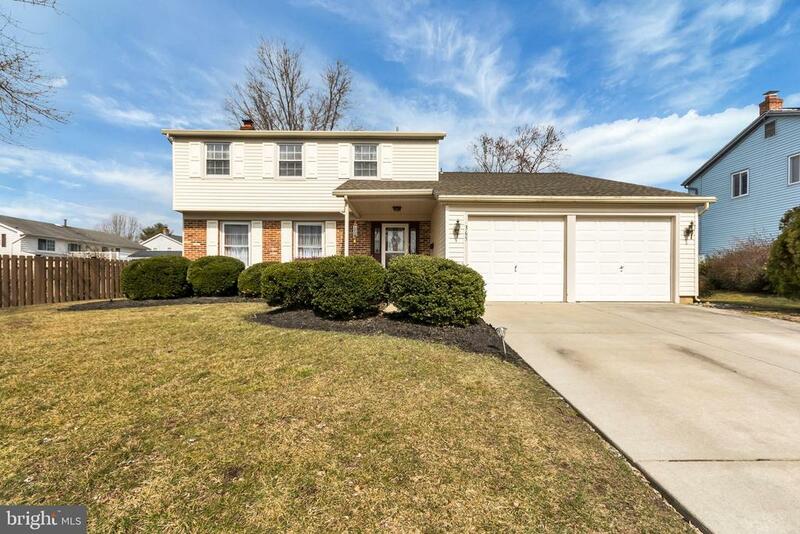 "Welcome home to this very desirable Raleigh Model in Gloucester Township's Broadmoor. This home has 4 bedrooms and 2.5 Bathrooms which all have been updated. You enter the home from the cozy front porch into the foyer way, to your right you have a formal Living room with lighted crown molding and a large window to let in plenty of natural light, there is also a formal Dining Room to enjoy Holiday Dinners.The Kitchen has been updated with newer cabinets,tiled backsplash, ceramic flooring, stainless steel appliances and granite counters. there is a removable island which is staying with the house. From the Kitchen you can enter the beautiful 3 season room which overlooks the built in pool and nicely landscaped backyard. Your kitchen is also open to your family room which has a fireplace with a built in insert to help keep you home cozy and warm . There is also a min floor powder room and a large laundry room with laundry tub, cabinets and an extra fridge and shelving that will also stay with house. Additional features are a full basement which is ready to finish any way you choose, there is a 2 car garage with electric openers and a car port. The back yard has 2 sheds for pool and yard tool storage and upstairs in the hall there is a door to the storage area above the garage for additional storage. The exterior is maintenance free vinyl siding and trim, the front door has been replaced. Another fantastic feature is solar panels which are owned and will save you lots of money. Make your appointment soon to view this beautiful home." "Schedule your showing, fall in love and make an offer before this one is gone! If you have been searching for an updated home with an abundance of living space you've finally found it, now don't let it get away! 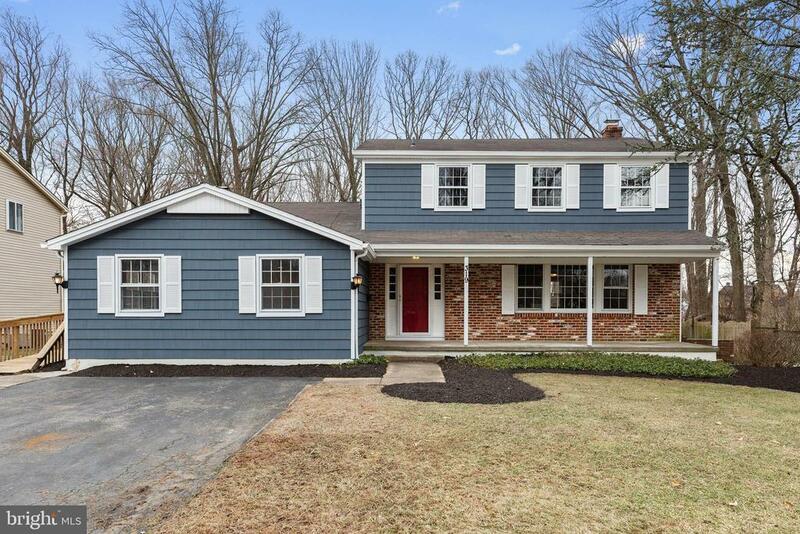 This beautiful colonial could either be a 4 bedroom with a very large bonus room or a comfortable 5 bedroom home. As you walk up to the bright red statement door you see a spacious porch where you can hang out on long summer nights with your favorite people sharing laughs. Inside there is new laminate flooring throughout most of the main level for a nice flow from one room to the next. From the foyer entry area head through double doors and into the formal living room that takes you right into the dining room and around to the bright open kitchen. The kitchen has new granite counter tops, white soft close cabinets, stainless steel appliances & a garbage disposal. The counter tops offer a generous amount of space to prep and serve food. The open floor plan on this side of the house allows whoever is in the kitchen to easily conversate with whoever is in the family room. A new sliding door off of the eat in kitchen takes you out to the deck overlooking the very large backyard. The family room is large enough to fit your sectional and has a beautiful white washed wood burning brick fireplace at the center. Off of the family room is a fully updated powder room and very spacious mud/laundry room complete with an exterior access door and utility sink. This access door has a ramp which leads either to the backyard or to the driveway for easy accommodations. Right off the laundry room is where you will find the 5th bedroom or bonus room (depending on your preference) complete with new cozy carpet, recessed lighting and ample closet space. The basement is unfinished and allows you to handle all of your dry storage needs. Upstairs features 4 Bedrooms a full hall bath and spacious master bedroom with a full bath. Come take a tour before it's too late!" "5 New homes to be built- Pre Construction pricing all options available 3 to 4 bedroom models. Choose colors, Full Basement. See available floor plans and models on the attachment icon." "just reduced 5k - owner looking for offers..all brand new both inside & out. nothing untouched -- move in ready -- new roof, windows, siding, hi eff gas heat and central air. 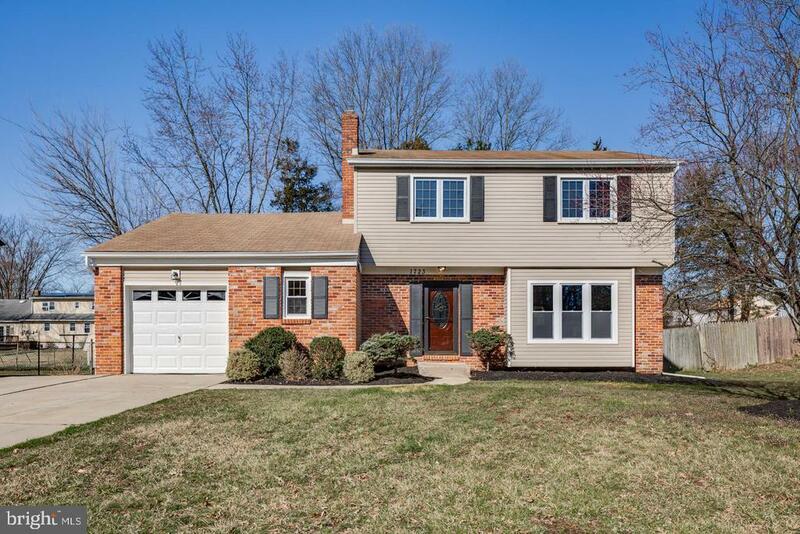 living room features hardwood flooring, formal dining room overlooking new kitchen with granite counters and stainless steel appliances, new main bath, master bedroom has new on-suite master bath, lower level family room with fireplace, new trim and 6 panel doors. slider takes you out to fenced in yard with patio, hardscape, and in ground pool with brand new liner. 2 car attached garage - check it out today - e-z to show"
"5 New homes to be built- Pre Construction pricing all options available 3 to 4 bedroom models. Choose colors, Full Basement. See available models and floor plans in the attachment icon." "Beautiful 'Raleigh' model in desirable Broadmoor section of Gloucester Township, only 1.8 miles to the Timber Creek Dog Park, has New roof 1/19, new 2nd floor hallway bathroom double vanity, new laminate floor in first floor laundry with side exterior door, exterior gas line outside laundry room for gas grill, pool table in living room negotiable, All window treatments, all appliances, hardwood flooring both levels! 1 Year 2/10 renewable Home Warranty included at settlement. Quick Settlement!" "Immaculate townhouse located in CooperTowne Village built by Ryan Homes in 2014 has so much to offer. This Roxbury model features 2 expansive master bedroom suites w spacious walk in closets and private baths. Enter the very impressive stone front home into the foyer with coat closet and hardwood floors and be wowed! Open and airy, bright main level features a Center Island Kitchen with granite counters, breakfast bar, double sink, all stainless steel appliances and 42 cabinets. Dining area open to the family room with gas fireplace. Off of the dining area leads to a 12x17 trex deck for total relaxation and enjoyment of the woods! Powder room and direct entry garage completes the main level. Conveniently located laundry room on the second level with cabinetry for storage. Full finished basement prewired for surround sound adds to the living space with additional storage room. Close proximity to PATCO station, great shopping and restaurants. Hurry!" "Adorable 4 bedroom 1.5 bath home with full finished basement, 1 car garage, hardwood floors throughout (even under carpets), Stainless steel appliances, wood burning fireplace, electric fireplace in basement, newly refinished bathroom with ceramic tiles flooring and shower surround with glass backsplash and rainfall shower, ceiling fans in every bedroom, above-ground heated pool, patio paver driveway extending to rear yard and pool surround, nice sun deck and private fenced in back yard. Close proximity to major roads. Not to be missed." "In addition to a spectacular finished walk-out basement, this large town home boasts many luxurious features and an airy open floor plan. Enter into the large great room with gas fireplace and soaring vaulted ceiling. Continue into the dining area open to the kitchen equipped with stainless steel appliances, granite counter tops, and quality wood cabinetry. From the dining area venture out to the large wood deck for extended outdoor living. The home also has 3 large bedrooms, with the large master suite on the first floor with walk-in closet, and master bath with spa-like shower. Upstairs, two additional bedrooms, one full bath and a convenient loft/office space. 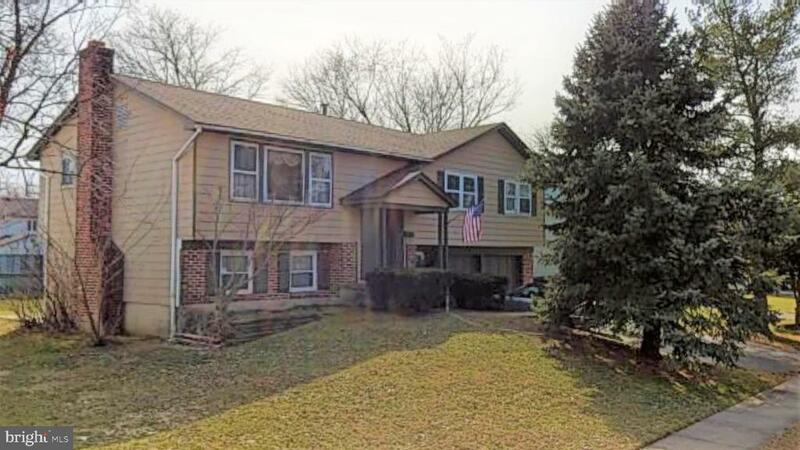 In addition to the large finished basement which serves as a wonderful family/game room, the lower level has a wet bar, full bath and bonus room for use as a play room or home office. Additional luxury features include, hardwood floors, convenient 1st laundry/mud room, gas fireplace, and loft overlooking the main living area. 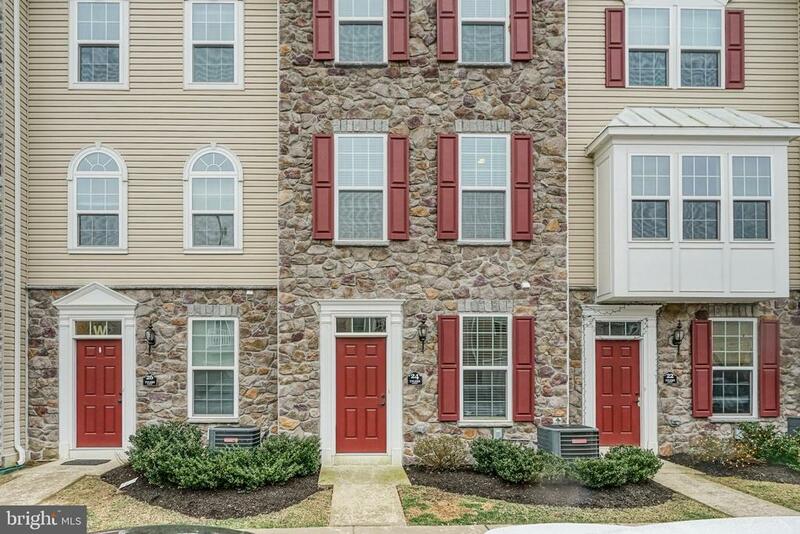 The Shire At Somerdale is conveniently located to the PATCO High Speed Line, Kennedy Hospital, Rowan Medical School, NJ Transit and major roadways. Schedule a showing today!" "5 New homes to be built- Pre Construction pricing all options available 3 to 4 bedroom models. Choose colors, Full Basement. See available models and floors plans in the attachment icon." "Perfect Home For Entertainment! Large, Beautiful 5 Bedroom, 2 Full Bath Bilevel With a Large Family Room Addition. 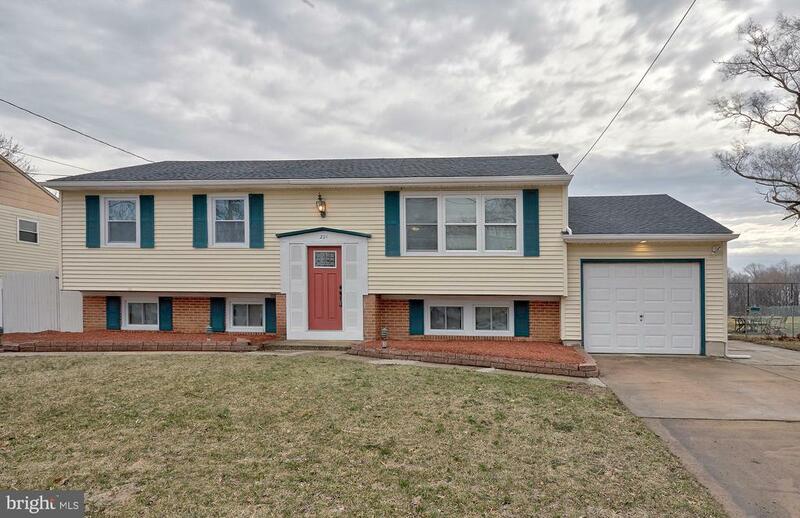 Features Include: New Roof, New Gas Heater, Central Air, Gas Fireplace, In Ground Pool, 17 x 8 Deck, Shed, Fenced Yard, New Flooring: Wood, Tile & Carpeting, Crown Molding, Chair Rail, Vinyl Windows, 6 Panel Doors, Recessed Lighting, Vinyl Siding, One Car Attached Garage. Bright Living Room, Gorgeous Brand New Kitchen Has New White Cabinets, Granite Counter Tops, Ceramic Back Splash & Flooring. Stainless Steel Appliances: Gas Range, Microwave, Dishwasher & Refrigerator. Huge Family Room Addition on Main Floor. 3 Bedrooms & 1 Fulll Bath On the Main Floor. Lower Level Has Another Family/Game Room Area With Fireplace. 2 Bedrooms & Another Full Bath. The Pool Is Being Renovated & Will Be Beautiful & In Working Order By Settlement." "Welcome home to the beautifully remodeled 843 Wyngate Rd. Enter your new home through the front door and feast your eyes upon the gorgeous glow of the newly finished dark walnut hardwood floors, recessed lighting, rustic light fixtures and crown molding. The kitchen features a brand new stainless steel appliance package with a 5 burner gas stove. Espresso cabinets, granite countertops, porcelain tile floors and a subway tile backsplash top off our favorite feature of the home. Get cozy in your new family room gazing into soothing flames from the gas burning stone fireplace with a flick of a switch. The living room also boasts exposed beams highlighted in a natural stain adding warmth and style to the room. Upstairs hosts 4 large bedrooms with hardwood wood floors and ceiling fans. Lastly, a full bathroom with complimentary porcelain tiles and vanity finish the upper level. The neutral decor throughout the house makes it easy to add your own style, making moving in simple. Enjoy entertaining your friends, family and loved ones in the spacious fenced in rear yard with patio now that Spring has sprung. The home is located close to major roads and highways for convenient travel and shopping areas. Schedule your appointment today, this one won't last long!" "Welcome to the highly desirable neighborhood of Broadmoor! As you enter the tree-lined streets of this well-kept community, you will realize why this is such a sought after place to live! 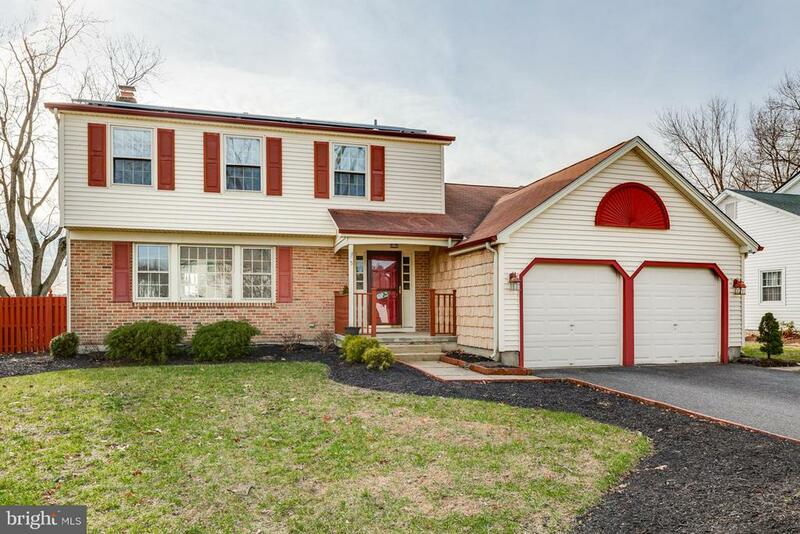 This lovingly maintained home offers fabulous curb appeal. The main floor has a wonderful sense of openness and light. With a formal living room & dining room featuring crown molding and hardwood floors. The eat-in kitchen has a huge window overlooking the backyard. The large master bedroom has a private bathroom and all bedrooms have bigger closets. Downstairs, the Spacious family room features a brick wood burning fireplace, guest bathroom, bar and sliding glass doors that lead to a patio in the large backyard. There is also an additional bedroom, ~room of your choice~ (game/playroom/craft/mancave/exercise room etc..), laundry room and access to the garage. This beautiful family home is sure to please!" 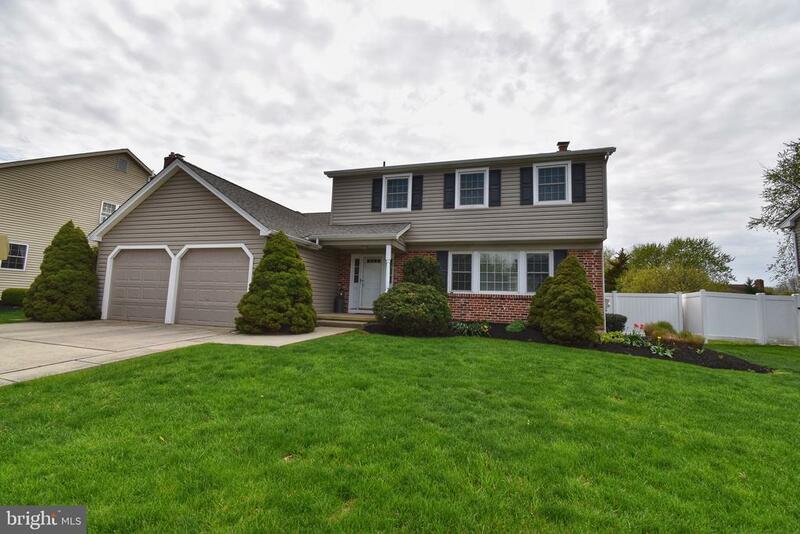 "Located in Gloucester Township! So much light, natural and recessed lighting and so many windows all presented in a brand-new remodeled residence! Come in through the glass accented front door with storm door into the welcoming formal foyer w/hall closet, hardwood floors and beautiful handrails. There is a spacious dining room for holiday dinners and entertaining. The living room has a large triple window and connects to the formal dining room. The kitchen has brand new modern appliances and cabinets. The eating area is highlighted by a window overlooking the backyard and is an open counter connected to the family room spacious for four counter height chairs! In addition to the size of the family room, it has sky lights and slider door to the backyard and convenient first floor large laundry room and powder room. Take a walk upstairs on the second floor you will find 3 nice sized bedrooms with fans and ample closet storage and brand-new neutral carpeting. There is a large bathroom that sports new flooring, a vanity, a full bathtub. Don~t forget to head back downstairs to the basement, you will find it high and dry with a brand-new French drain. Head out to the very large and deep backyard through the family room to a beautiful tree covered yard. This is a home, not just a house, YOUR HOME! 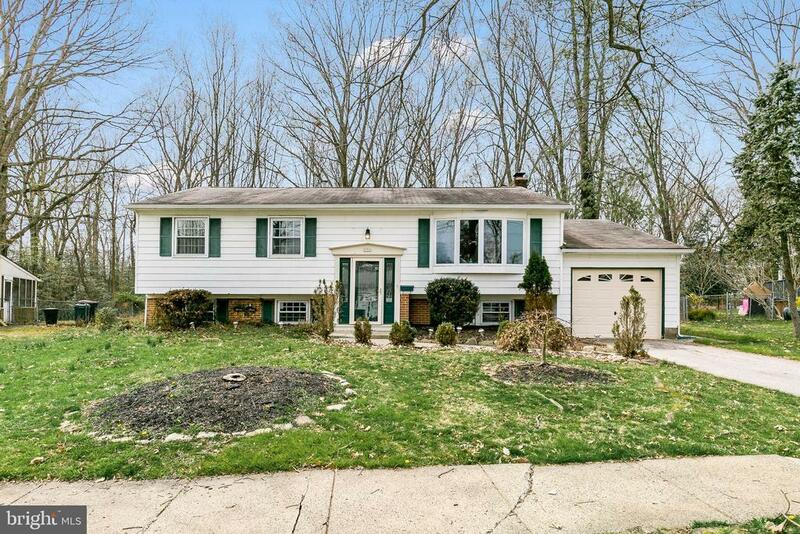 Newer windows, newer hot-water heater on a great street with great neighbors in a location near everything you need and excellent school systems - Chews Elementary, Glen Landing Middle School & Highland Regional Middle School." "Welcome Home! 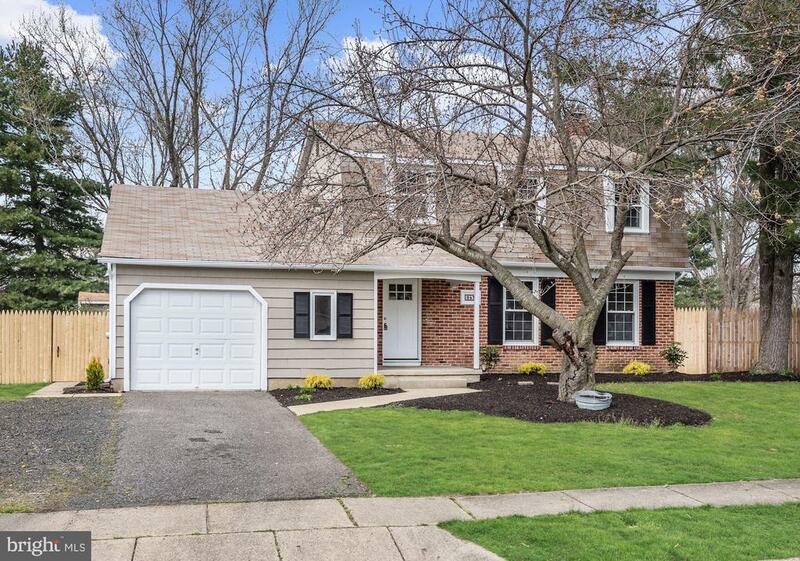 This newly remodeled home in Gloucester Township's desirable Timberbirch neighborhood is a must see! You will love the beautiful hardwood floors throughout the main & upper levels. The kitchen is updated with backsplash, granite countertops & stainless steel appliances as well as newer cabinets and tile floor. Upstairs you'll find three spacious bedrooms and an updated full bath. Downstairs is a large family room, laundry, half bath & additional room perfect for an office or playroom! You can access the garage through the house as well. The roof, gutters, HVAC, Washer/dryer, windows and appliances are all less than 3 years old! This spacious corner property is charming and ready for new owners!" 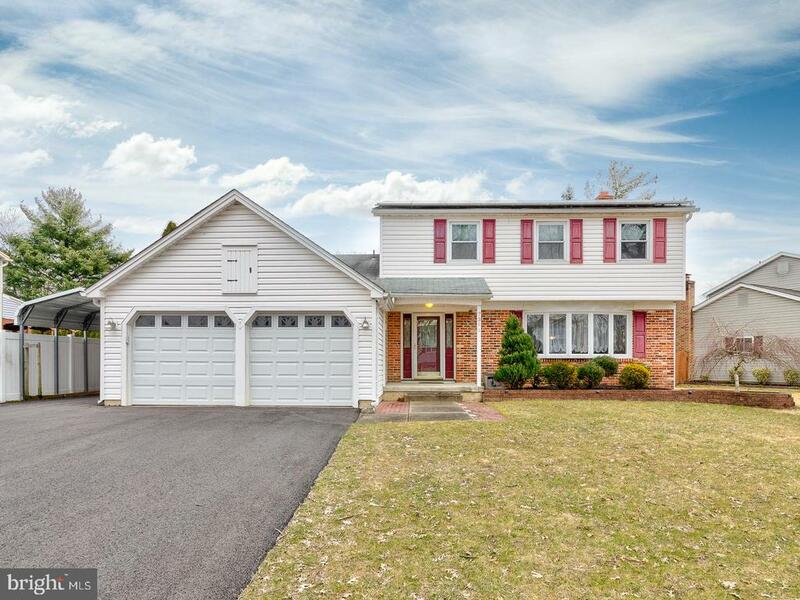 "----Welcome Home---- Located in the Broadmoor section of Gloucester Township. This Home features 3 bedrooms and 2 bathrooms. It also has a private backyard with a patio that is the width of the home. When you first walk in you will notice the newer hardwood floors that run thru the living room, dining room and kitchen area which also has a fresh coat of paint on the walls. The kitchen features a newer stainless steel oven and microwave. The 2nd floor bathroom has been updated with 2 individual sinks and a new tub and shower. Chews elementary school is just minutes. All major highways are also just minutes away. Philadelphia is just 15 minutes, New York city is about 90 minutes away and Washington DC is about 2 hours away." 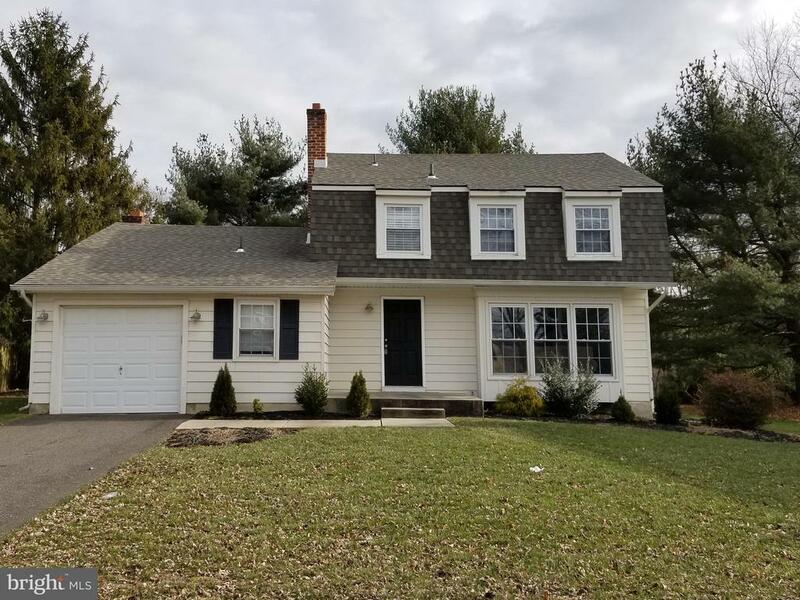 "You don't want to miss out on this beautifully updated 4 bedroom, 2.5 bathroom Colonial home situated on a large lot and a quiet tree-lined street. 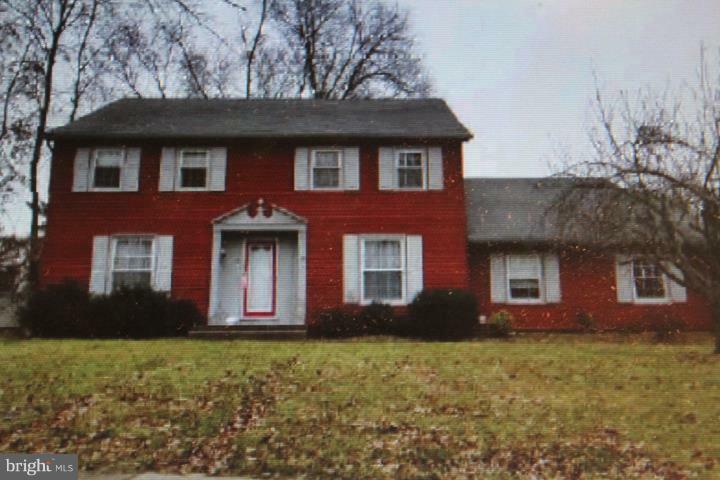 This property boasts a new roof, HVAC, Rheem heater, instant hot water, and 22 attic insulation. Step inside to be greeted with a bright, spacious living room, with amazing light from the large picture window. Across from the living room sits the cozy sunken family room centered around a lovely painted brick fireplace with a gas insert and nearby powder room. The lovely dining area opens on to the updated kitchen. This bright space is fitted with matching appliances, brand new cabinetry, and neutral granite counter-tops. On the second floor, you'll find your master bedroom with an en-suite bath and 3 additional generously sized bedrooms with tons of closet space and a shared full bathroom. Step outside to enjoy your comfortable deck with plenty of space for grilling, dining, and outdoor entertainment. Beyond the deck there's expansive, private, fenced green space with a koi pond sitting among tall shady trees. This property backs to the woods providing ultimate privacy. Living here you are only minutes from major highways making for an easy commute, near local country clubs, and minutes from Philadelphia nightlife. Don't wait and make your appointment today!" "Perfect location within walking distance to nearby shopping center. This 2 bedroom, 2 1/2 bath is one of the upgraded townhouses in the development! It is only 4 years young, lightly used and well maintained. Gourmet kitchen with an island, dining space and wood flooring. Sound system included! Bonus room on the lower level and garage parking. Townhouses in this community have proven rental earning potential for the interested investor. Come see this great opportunity!" 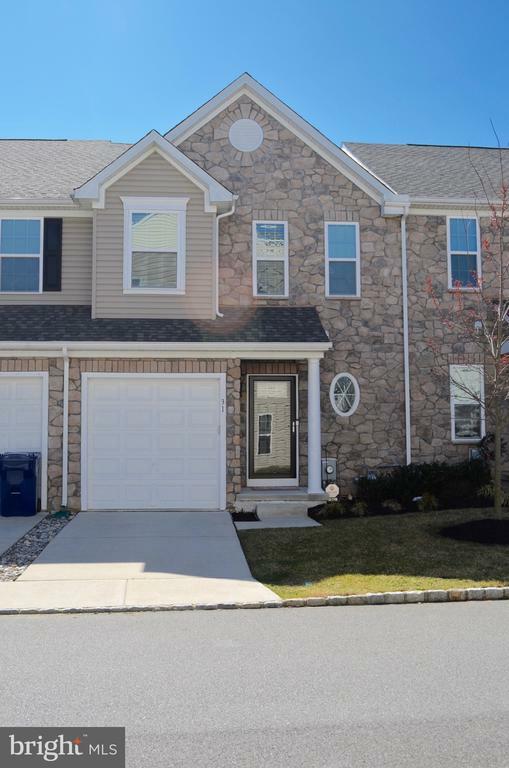 "Spacious 4 Bedroom 2 Bath bi-level in the Timberbirch community of Gloucester Township. Lots of amenities throughout and impressive updates such as the Newly Remodeled Bathrooms, and beautiful hardwood floors on the main level which also run underneath the carpeting on this level. The HVAC was replaced 5 years ago, newer carpeting and fresh paint as well, remodeled kitchen with stainless steel appliances and also replacement windows. The main level upstairs offers 3 bedrooms and a full bath, a large living room and dining room just off the kitchen. The lower level provides a fourth bedroom and full bath, den , and family room, plus mud room space and extra storage...even a side staircase leading to the kitchen. Beautiful fenced in back yard surrounded by mature trees, a great spot for summer entertainment and play. Make your appointment today!"